We’ve talked about the subject of today’s review, Poshmark, on Money Pantry before in various posts, like “9 Best Sites to Sell Your Wedding Dress on” and “25 Apps That Make You Money”. But, today, we’re going to do a full Poshmark review that covers everything you need to know about selling and buying on this platform. Whether it’s a pair of shoes that you never wear, a winter coat that you don’t really have a use for, or a shirt that no longer fits, it’s likely that you have clothing and accessories in your closet that you no longer wear. From outgrown kids clothes to those tight fitting jeans we hope to be able to fit in again, our closets are full of old and unused clothes. In fact, surveys show we only wear about 20% of the items in our closets. Now, if you’re a budget-minded person, you immediately see the other 80% as a way to make some money. The good news is that it is not that hard to declutter and make some money with all that unused fashion items. 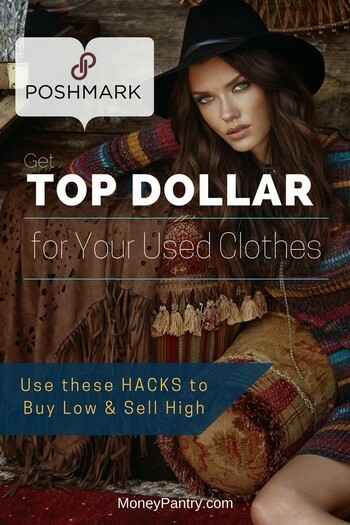 With a website called Poshmark, you can sell your old clothes, shoes and accessories without much hassle. It’s a website where you can buy and sell clothes, shoes, and accessories. It’s essentially an online marketplace for fashion. In fact, there are more than 5,000 brands available on the platform, as well as over 25 million items listed on there. You can use PM on a mobile device, using the app, or you can use it on your desktop computer. So, you have a few options for using it. Visit their official website to use the platform from your desktop PC. Below, there’s a quick outline of how to use the website and how the platform works for both sellers and buyers. There are many ways to get rid of your old clothes and other fashion items, but selling them is definitely one of the best! You make a profit, and your clothes get recycled. It’s a profitable and sustainable venture! And, the platform makes it easy to do. In the past, if you wanted to sell something on Poshmark, then you would have to use the app to do so. This was a little annoying if you preferred a desktop or laptop setting. Fortunately, now the company does allow you to sell on the website too. But, if you want to put a listing on the web, then you still have to download the app and log into it before you can do so. Once you’ve downloaded the app, you can start listing your items for sale on the app itself or on the web. What’s great about PM is how easy it makes creating a listing. It takes just minutes to upload one. Open up the app and tap on the “sell” button. Then, select a photo that you want to upload with the listing. You can upload an existing photo or you can take a new photo with the app. Add more photos if you want to. The app allows you to add three additional photos. You can also use the app’s inbuilt filters on your images. At this point, you need to enter additional details about your item. Give it a title, include a description and set your price. And, add useful information, like category and size. After you’ve entered all of your details, tap the “next” option. Then, tap on the “List” button. You can also share it with your friends if you want to. Once you’ve created your listing, you can edit it at any time. This is really handy, because if you forgot to add a detail or want to change something on your listing, like the photo, then you can. If you want to edit your listing, then just tap on the listing you want, and then select the “edit” button. This can be found at the top right corner of your screen. Once you’ve done that you can make changes to many aspects of your listing, like the photos, the price, and the description. When you’ve made the changes that you want to, tap on the “next” option, and then select “List”. Now, your listing is good to go and you’re ready to start selling. Handily enough, the company also allows you to create listings from your desktop computer or laptop. So, if you don’t fancy using the app to sell your stuff, then this is a good option. Make sure that you’ve recently logged into the app, otherwise, you won’t be able to create a listing on the web. Go to their website and sign into your account. Go to the “sell on Poshmark” section of the website. You can click the previous link or find a link to this page at the top right corner of your screen. Now, it’s time to upload a photo of the item that you want to sell. You can easily drag the photo you want into the dotted box that appears on the screen. Or, if you prefer, click on the “upload photos” option. Handily enough, you can upload and drag multiple images at once. At this point, you can add filters to your Covershot photo. This is the first image. You can upload up to seven additional photos too. Once you’ve uploaded a photo, you need to enter some details about the item you want to sell. You’ll need to enter information, like a description, price, and size. Then, simply click “Next” and you’ll list your item. Potential customers can search for your products. If a customer wants to buy your item, then they can choose the “buy now” option, or make their own offer. They then submit the order or offer. When your item sells, they send you a pre-paid, pre-addressed USPS Priority Mail shipping label. So, you don’t have to pay for shipping, which is great. Make sure that you use the label that the site provides because it has a tracking number connected to the order. The website sends the shipping label to you via email. So, make sure that you use an active account. The shipping label is attached to the email in the form of a PDF document. It’s a good idea to check that your email address is correct. You can do this in the “My Profile” section of your account. You can change your email in this section. If you do change your email address, then you need to get the shipping label resent. Handily enough, the company also allows you to download the shipping label directly if you prefer. You can do this by going to the “My Orders” section and selecting the order you need the label for. After you receive your shipping label, make sure that you print it out as soon as you can, so that the buyer gets their item promptly. The site recommends that you send your item within two days of purchase. If for some reason, you can’t ship it within that timeframe, then the company recommends that you request a new shipping label. Select the “Resend Shipping Label” option. And, don’t leave it any longer than seven days to ship it. If you don’t ship the order within seven days, then the buyer has the option to cancel it, and you will lose the sale. The company says that if you need more than seven days to ship your item, then you should state that on the listing. If you haven’t sent your item within 21 days of purchase, then the company states that it has the right to automatically cancel the order. Orders that are worth more than $500 are handled differently. They are processed by the site’s Posh Concierge service. And, they are shipped to its headquarters for verification first. You don’t have to pay anything to list an item on the platform. But, the platform does charge a fee for all sales. For sales under $15, the platform charges a commission fee of $2.95. This is a flat commission – so you pay the same amount on all orders worth less than $15. For sales worth $15 or more, the company takes a 20% commission. You don’t get your earnings until the buyer receives your item. The person who buys your item has three days from the delivery date to accept the purchase. Four days after the delivery date, the company automatically releases your funds. When you receive your money, you have two ways in which to cash out. You can use your earnings to buy items on the Poshmark website. Or, you can withdraw your money as cash. Buying stuff through PM is also super simple. What’s great about PM is that it feels just as much like a social media platform, as it does an online marketplace. So, scrolling through items is fun too. Finding items to buy on the platform is really easy. You can browse items using the site’s handy categories. Also, you can browse clothing, shoes, and accessories by brand. Plus, there’s a search bar that you can use to look for specific items. As we mentioned above, Poshmark kind of looks like a social media platform too. So, navigating the site or app, and looking for products you want is much easier. And, the platform feels much cleaner, and easier to navigate than many other online marketplaces do. After you find the item you want to purchase, click on the “Buy Now” option, if you’re happy with the price of it. Otherwise, you can make an offer for a lower price. To do that, simply use the “Offer” button. At this point, you need to enter your payment and shipping details. Once you’ve done that, simply tap on “Submit order” or “Submit offer”. Poshmark and the seller handle the rest. When the order is complete, the seller ships your item, and, generally, you receive it within one to two weeks. How much money can you make/save? Okay, so now you know how PM works, you’re probably wondering, how much can you make as a seller on Poshmark, or how much can you save when you purchase stuff through the platform. Here’s a quick overview for both sellers and buyers. What brand the items are that you want to sell. If you have a lot of stuff in your closet to sell, then you’re definitely going to make more from the platform. So, if you have a lot of items you want to get rid of, then you could make yourself a good amount of cash to put into your savings account or to use to buy something else. But, even if you only have a couple of pieces to sell, you could still make a really good profit. After all, most people either donate or simply throw out their unused clothing or just leave it to take up space in their closet. So, the fact that you could actually make a profit from something that you’d otherwise just throw out is great. Evelyne Teman earned $500,000 in just three years from selling clothes through Poshmark. Although that is an impressive figure, keep in mind that her family owned a clothing store in Paris, and that she had previously ran a clothing store herself. But, this story does give you an idea of the potential of PM. Another woman, called Alexandra, made $5,000 in just 30 days. As you can see, the platform definitely has earning potential. If you’re looking for brand name items, whether it’s a dress, a pair of shoes or a purse at a reasonable price, then PM is for you. You can find tons of well-known brand items on there. And, the best part is that many of the items are priced at a fraction of what they would be at a traditional retailer. What’s also great about items on PM is that most of them are gently used. So, the platform is definitely great if you’re on a budget, but you want to refresh your wardrobe a bit. If you’re shopping for something, in particular, it’s always good to do a bit of comparison shopping to see where you’d get the best deal. While PM does offer clothing, shoes and accessories for, generally, less than their original retail price, it doesn’t always provide the best deal. Poshmark compares well to other online marketplaces, like Craigslist & eBay where you can sell your stuff and buy things too. Craigslist, eBay, and other online marketplaces are certainly good choices. But, if you want to sell clothes, shoes or other fashion items, then you’re definitely best going with a platform that caters to that market specifically. That’s why PM is such a good option. Sure, eBay is a huge website that gets tons of traffic. But, the customers on sites like eBay could be in the market for anything, like furniture or electronics. So, the audience on those kinds of sites is much more generic. On Poshmark, however, you know that the people on there are looking for fashion items in particular. So, you have your exact target demographic right in front of you. You don’t get that type of targeted customer base on generic selling platforms, like eBay and Craigslist. Not only will you get your stuff in front of the right audience at PM, but you may be able to get more for your items on there. For example, in this Reddit thread, one person states that they tried to sell a pair of Ugg boots on eBay, for $50, for months with no success. But, when the person put them up for sale on PM, they got $72 for them. It’s been around since 2011, so it’s pretty well-established. Overall, it has mostly positive reviews. If you look on the iTunes or Google Play store, then you can see that the app is highly rated. And, it also has plenty of positive reviews on Influenster. This is definitely a legitimate platform that gets lots of praise online, from both people who shop and sell on the platform. If you read any Poshmark reviews for sellers, you’ll see that people generally talk highly of selling on there. However, as with any service where you buy and sell stuff, there are also some negative reviews of it, many of which come from people who’ve bought items on PM. Many people who have bought stuff through PM have stated that there were issues with returns and refunds. There are quite a few Poshmark reviews on BBB (Better Business Bureau), which complain about those issues. So, if you do plan to buy things through the platform, then make sure that you read all of the site’s terms and conditions prior to making a purchase. On Trust Pilot, there are also some really positive reviews and some less positive ones. But, overall, it’s a well-established platform that’s been featured by well-known media outlets and has plenty of positive reviews from its users. Okay, so whether you’re buying or selling there are a few things that you’ll want to do to make sure that you get the most out of the platform. After all, if you’re buying fashion pieces or selling them, you want the process to be quick and easy! And, of course, to make or save you money. So, we’ve put together a few handy tips to help you to make your experience on PM a successful one. Give size details: Sure you can put the size of the item you’re selling on the listing, but, it’s even better if you can offer measurements. Clothing sizes can vary dramatically from brand to brand, and from era to era. This means that a medium from one brand can be very different to a medium from another. So, take the time to measure the items you sell and put the measurements in the description. Make sure your prices are reasonable: Setting fair prices is really important for success in any online marketplace. People won’t buy items that they feel are overpriced. So, do a little research online to get an idea of how much your stuff is worth. Communicate with your Customers: One of the good aspects of PM is the community feel. Potential buyers can easily talk to sellers. So, make sure that you’re responsive, and communicate with your customers promptly. When you can, try to reply to customer inquiries within 24 hours, and you’ll improve your chances of getting a sale. Make sure that your photos are good quality: The photo is one the most, if not the most, important parts of your listing, so make sure it’s good. 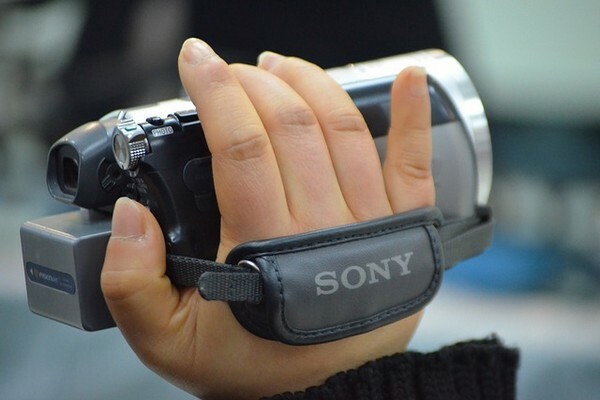 Take photos of your items in great lighting, and make sure that you offer a good mix of full-length and close-up shots. That way, customers will be able to see an item’s detail. Try to ensure that your photo gives an accurate representation of your item. Keep the buyer up to date: If you aren’t able to ship your item on the right date, make sure that you inform the buyer. This keeps them up to date, and informed of when their package will arrive. Share other people’s items: As we mentioned previously, PM is also like a social platform that has a big community. That’s why it’s a good idea to share other people’s items. When you do that, other people will likely share your stuff with other people too. And, you’ll get more traffic to your listings. If you plan to buy things from the website, then there are also a couple of things that you should be doing to ensure your transaction is a successful one. Don’t be afraid to haggle: You don’t always have to purchase an item at the price the seller is selling it for. Instead, you can choose to send your own offer for a lower price. So, don’t be afraid to send a lower offer. You never know, the buyer just might accept it. Check out Posh Parties: Posh Parties are events that are held on the PM app. They are in real-time, and there are four of them hosted per day. Each one has a different theme. Participating in these events is a good way to find new items and brands. As you can see, PM is a good option if you want to sell your stuff. 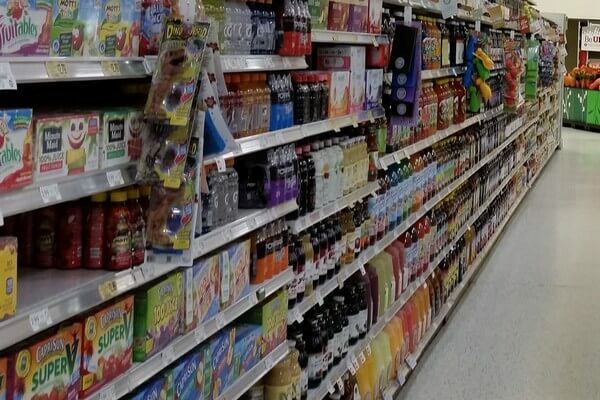 Searching for items to buy is easy: All it takes is a few clicks and taps, and you can easily find the items that you want to buy. The platform is definitely a lot easier to navigate than other online marketplaces, like Craigslist. There’s a big community: There’s a huge community feel on PM, and this community is filled with fashion-lovers. This is a great thing for sellers. Communicating is easy: Buyers and sellers can easily message and chat with each other. Shipping is free: If you sell through PM, you don’t have to pay for shipping, which is always a plus. Listing an item is quick: One of the best aspects of PM is how easy it is to list an item for sale. It takes just minutes. Shipping isn’t free for buyers: If you plan to sell through PM, then this isn’t an issue, but if you’re a buyer it is. For orders worth $25 or more, you have to pay $4.99 for shipping, and for all other orders, you have to pay $6.99 for shipping. Fees are a little high: Compared to some other online marketplaces, the fees are a little high. But, shipping is free, so that does make up for it, for the most part. Overall, Poshmark is a great platform to sell your used clothing on. If you’re looking to sell fashion items in particular, like clothes, shoes, purses and other accessories, then it’s definitely one to consider. Or, if you’re in the market for some new clothes, then you’ll also love the app. To end this review, I’d say Poshmark is a great platform for both buyers and sellers of used clothes, shoes, and accessories.